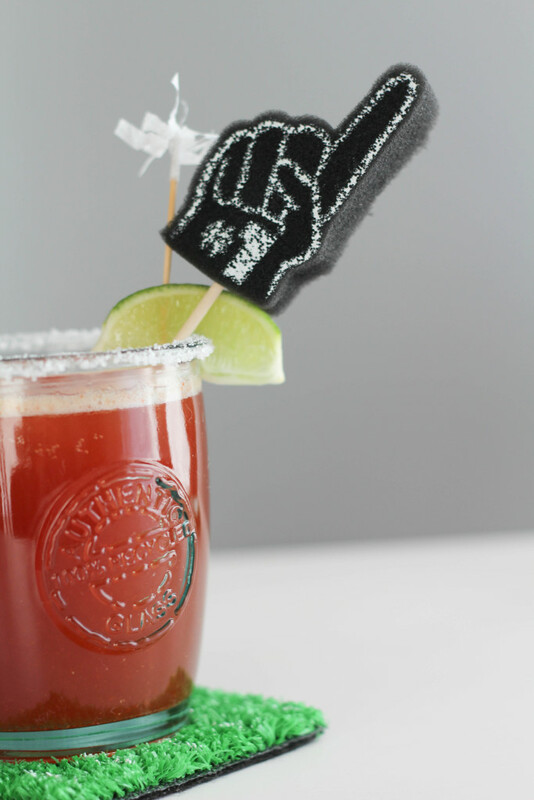 Did you catch these cute little guys making an appearance in yesterday’s cocktail post? They kinda steal the show, right? 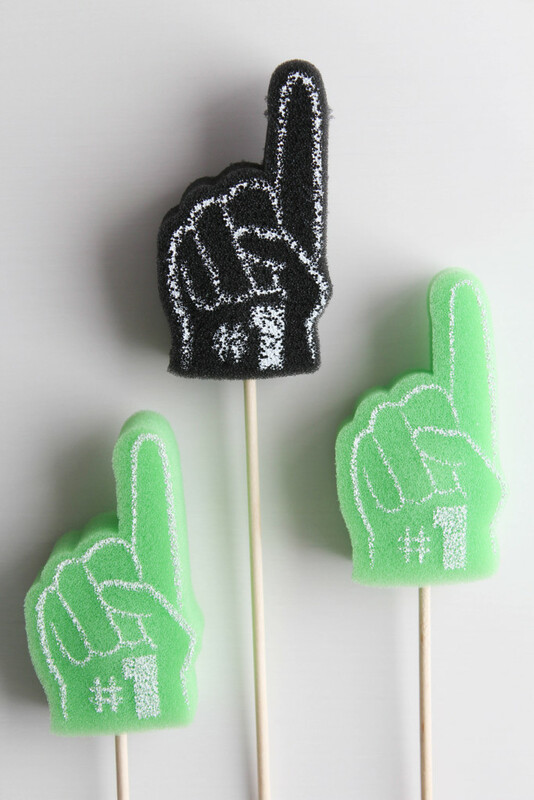 I picked up the adorable foam fingers from the Spritz party line at Target. They were meant to be finger puppets, but I had a better idea. They are beyond SIMPLE to put together and took all of 5 seconds. Wooden candy sticks (I picked mine up here). 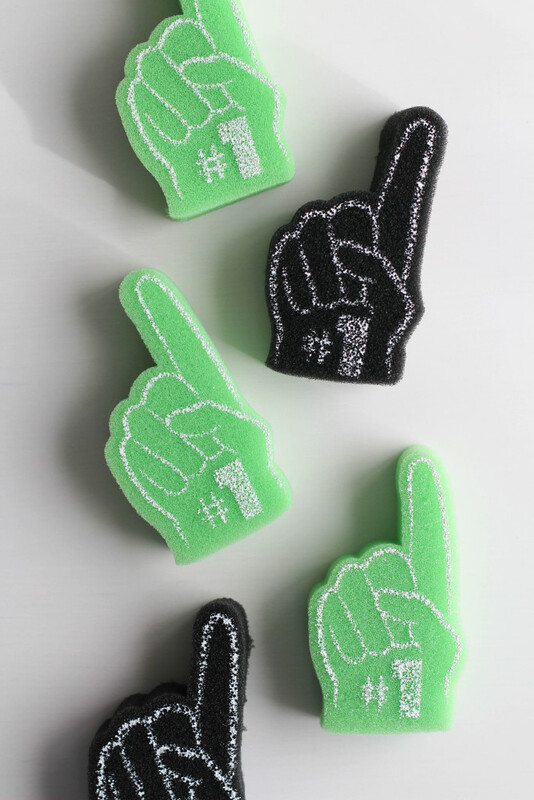 The foam fingers come prepped with small little openings in the bottom. 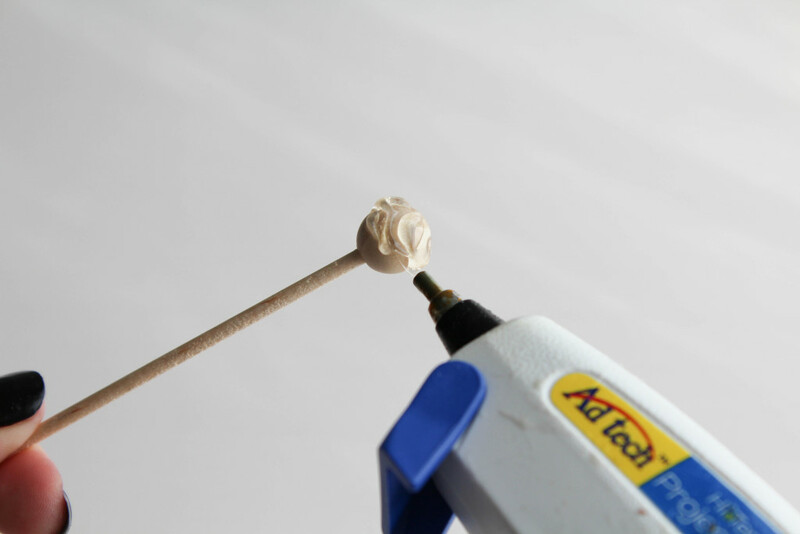 Add some hot glue around the top of your wooden candy stick. 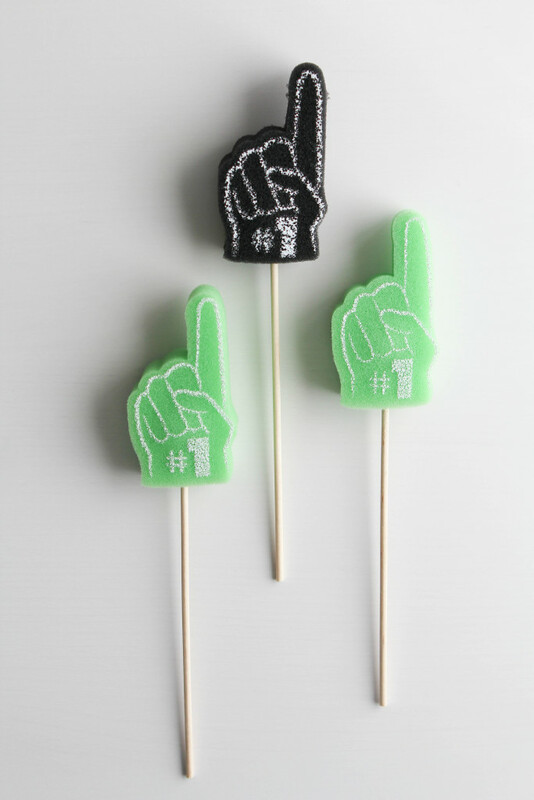 Stick the top of the wooden candy skewer into the bottom of the foam finger. (I pressed the edges of the finger together a bit to prevent the glue from hitting the edges). 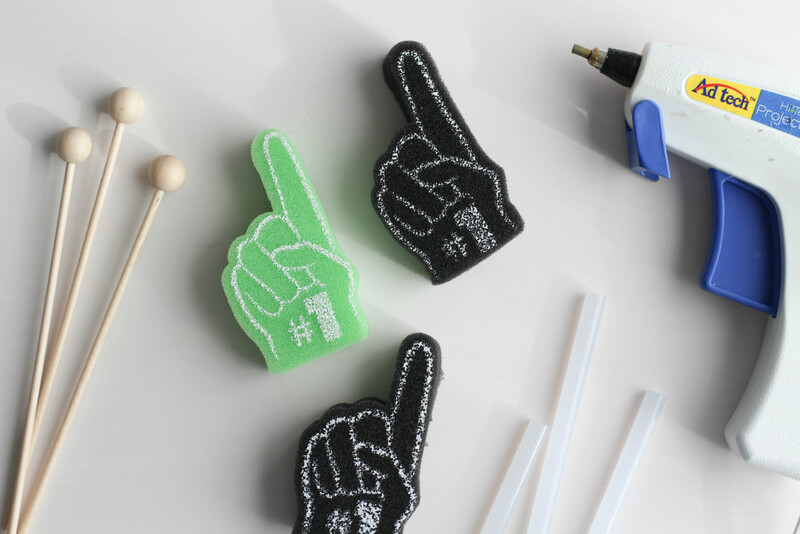 Press the foam finger around the wooden skewer ball top to adhere well. I told you…5 seconds. You only have to wait for your glue to heat up and then you’re done. Super simple and oh, so adorable.